Image credit & copyright: David Lane. I hope you’ve all had a great New Year and with the holidays behind us, let’s get back to work. My first post of 2017 is really a special image. This great shot by David Lane gives us a dream come true of sorts. 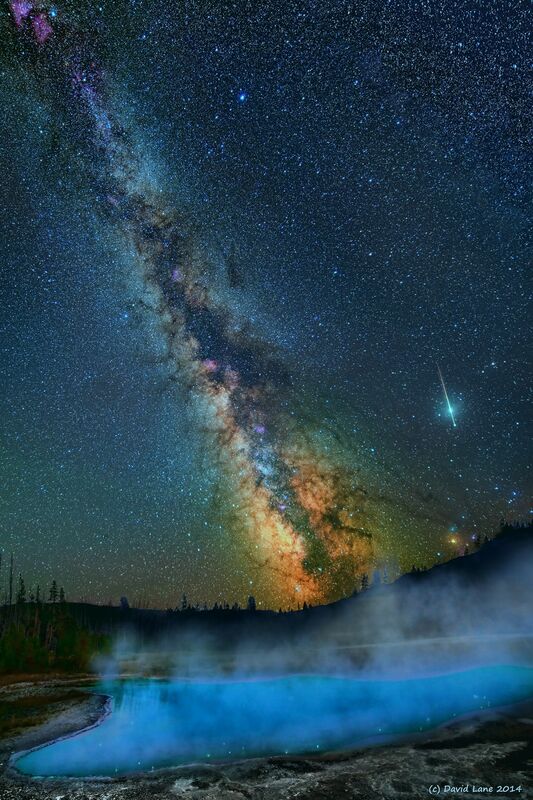 The Milky Way Galaxy is seen here reaching out across the sky in immaculate detail as a meteor streaks across the sky as if to add depth to the entire scene. Below, one of Yellowstone National Park’s hot springs hot springs and its telltale blue waters add a foreground to this image that many of us; myself included would just love to experience. As any of you following me for a while know, I absolutely believe that night sky images can live and die by their foreground. In many cases you don’t need a foreground at all or at times simple can be better. In some cases a silhouetted foreground hits the spot, giving all attention to the night sky above. In this particular case the busy, colorful, exotic foreground really compliment the color detail in the Milky Way and there’s just an overall sense of awe here that I love. I hope you all have an amazing 2017 and keep tagging me with your shots as well,I love seeing them. 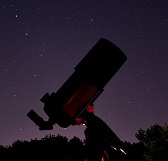 The astronomy/night sky community is an amazing group of people and that includes you. Image | This entry was posted in Astrophotography (Wide Field), Galaxies, Images and tagged Astronomy, Astrophotography, DanSpace77, David Lane, Galaxy, Milky Way, Night Sky, Science, Space, Yellowstone, Yellowstone National Park. Bookmark the permalink.